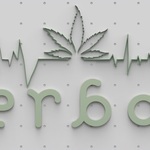 ERBA Collective is a medical marijuana dispensary whose philosophy of which is to supply only the top-shelf products, and never sacrifice quality. Once patients step foot in the dispensary they immediately feel different – the company has been working hard to create a welcoming and supporting atmosphere where they could feel at home and, what is more, feel excited about their purchases when they leave. ERBA Collective provides a large selection of flowers and marijuana-infused products, that is sure to match the needs of all patients. The assortment includes flavorful edibles, drinks and tinctures, pure wax and concentrates and topicals. To guarantee the highest possible quality and absolute safety of the products offered, the company collaborated only with well-established farms that thoroughly check their goods. Both new and regular customers are treated with promotions, so don’t miss out the opportunity to get something special.